You know how kids (and teens) think some of the things we do with our food are just outright bizarre? Well, this soup is how I finally managed to convince Brady of the virtues of a piece of floated toasted bread in a hearty soup, drowned in gooey cheese of course. 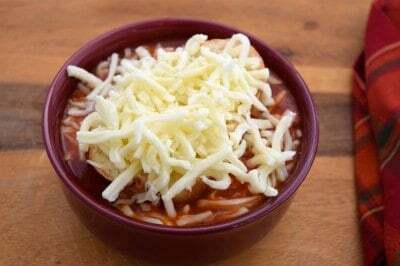 This Pizza Parlor soup has a very full bodied flavor, as if you’d cooked it all day long, but with throw in the pot ease. I enjoy a slice of pizza as much as the next person, but I enjoy it in soup form even more. If you made those Dr Pepper Meatballs I posted last week, you may have some frozen meatballs leftover in your freezer for this soup. If not, buy extra this time because Mama is about to share another recipe using them coming up here real soon :). You can also make your own by checking out this post. What a great fall supper! Speaking of fall, wow! Is this a wonderful time of year or what? If I could have one wish for this time of year, it would be to stretch October out into 60 days instead of just 31. Where I live, it seems like all of the fun things to do take place within this one little month and you’re left missing half of it to take part in the other half, if you’re lucky. This weekend, I’m missing three things in order to take part in one. Three things I’d really really like to do! But such is life. We often have to choose. Every day is made up of choices, actually, and then our life is formed by those choices, one after one, stacked on top of one another to build the foundation of where we are today. I can honestly say, I’m happy with the choices I’ve made and think they were wise ones when it comes to the big things. Having my own family, that is the one I enjoy the most. Having been able to work together with my husband to build a home and to build a life and to watch our kids grow and help shape them to be worthy of their calling, whatever that may be. It’s good to be able to look back and see the path you’ve taken and not wish you’d taken another. Which is a nice thing to have. You’ll need: Basil, Oregano, Tomato Sauce, Crushed Tomatoes, Tomato Paste (not pictured, it was shy), Frozen Meatballs (or homemade), Pepperoni, Mozzarella, and a loaf of Italian bread. I also add a tablespoon of sugar to mine to bring out the sweetness in the tomatoes. 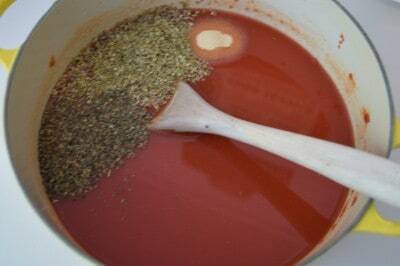 Place your water, tomato sauce, crushed tomatoes, and seasonings (and sugar, if using) in a large pot. I’m using my dutch oven so I can make this earlier in the day and it will still be warm at suppertime. 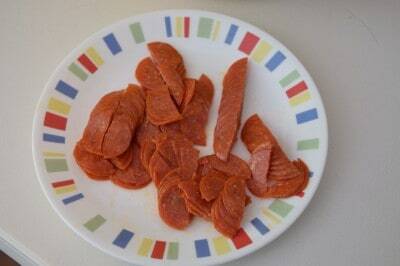 Cut your pepperoni in half or in fourths, your preference. Add pepperoni and meatballs to pot. Put this over medium high heat until it just comes to a boil and then reduce heat, stirring every so often, for 20-30 minutes, or until meatballs are heated through and soup has had time to develop flavor. Once that is done slice some off some of that bread and toast it in the oven at 350 until just toasted. 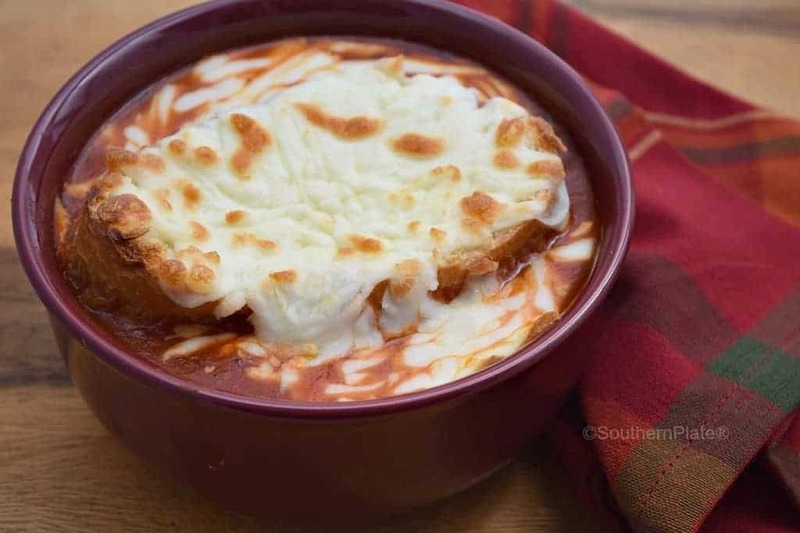 Fill bowls with soup, top with a piece of bread, then cover that with cheese. Place all bowls on baking sheet and put in oven set on low broil. Watch carefully and remove when it looks like the photo below. Be careful putting soup in and out of the oven as ovens are hot and hot soup will burn. A little PSA because our world done packed up and left on the crazy train and doesn’t appear to be heading back anytime soon. Serve as soon as you remove it from the oven. In a large pot or enamel dutch oven, place tomato sauce, crushed tomatoes, water, garlic, basil, oregano, and sugar. Cut pepperoni in halves or fourths and add that along with meatballs to the pot. Bring just to a boil over medium high heat and then reduce temperature to low, stirring every now and then. 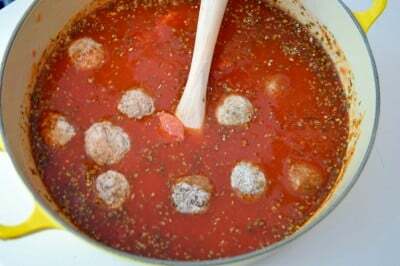 Allow to simmer for 20-30 minutes, or until meatballs are heated through and soup has developed full flavor. 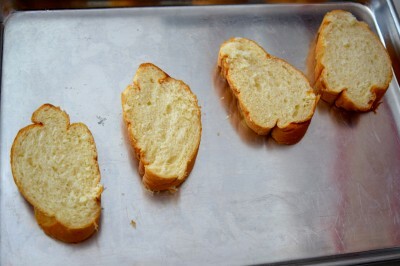 To serve: Cut 1 inch slices of Italian bread and place on baking sheet. Place in 350 oven until toasted. Ladle soup into bowls and top each with a slice of bread and a liberal sprinkling of cheese. Place all bowls back on baking sheet and put in oven on low broil. Watch very carefully and remove once cheese is lightly browned and bubbly on top. Serve immediately but warn folks that the bowls are hot :). – Mary Manin Morrissey, Submitted by Marsha G.
Add your favorites to our collection of inspiring, motivational, or funny quotes by clicking here. 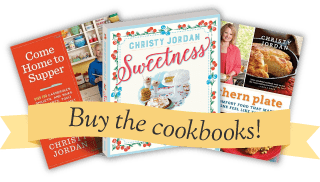 Southern Plate Radio – Is It Crazy To Be Prepared, or Crazy Not To Be? Hello Ms. Sandi – I am a High School Culinary teacher ( in TN) also. We should compare notes. Oh and yes I agree I think the students would love this, imagine the standards met! This may sound silly but could you leave out the pepperoni? Not a fan of it. 🙂 Would that make it really bland? Absolutely! It will still be great! We also had a period in our home that some disliked pepperoni. I solved this problem by substituting Canadian Bacon in it’s place whenever it was in the recipe. Oh my goodness, can you hear my stomach growling??? As I was reading the recipe and looking at the pictures…saliva was pooling and my stomach growled really loud!!! Oh YUM!!!!! I’m going to make this one soon…does it freeze well? I want to make a bunch for my daughter and leave it in single-serving zippies in the freezer for her! Then I’ll make it at home for my dear husband!!! I was just telling my husband I wish October will stand still for 3 months that is my favorite month. The autumn leaves, pumpkins ,Halloween, football, and of course hot chocolate. And your yum! Recipes. Thanks!!!!. OMG!! That sounds so delicious, I love pizza and is a must have as a soup. I have got to try it. Glad I hooked up with you and Southern Plate, Thanks! This sounds great. I’m not a huge fan of tomato soup (I know, I know) but my family loves it. This may be the perfect compromise. Thanks for sharing! This sounds so good that if it were not for the fact that I’m missing one can of tomatoes and the bread, this would be cooking right now. I think the bread on top really makes this. Thanks for the wonderful eats. Thanks Bev! Hope you get the chance to try it soon!! Oh wow! this sounds really good. Cooler temps headed our way this weekend so I am going to make this soup! Thanks! I hope you like it Debora!!! Wow, does THAT look GOOD. Sign me up. For Breakfast. 🙂 I hope you get the chance to make it soon Becky!! This looks so good! I am making this tonight! Thank you Christy! I like pizza toppings but not all the bread and salt included in it. This soup is probably the best thing since a slice of pizza. I will definitely be making this and it will be a surprise to my hubby since I don’t order a pizza out. I usually make pizza using the Lavash bread and roasting all veggies before hand. It only takes 15 minutes in the oven since everything needs to be cooked in advance. I am excited to try this soup version. I hope you both enjoy it Connie!! Looks like “another” winner, thank you Christy! 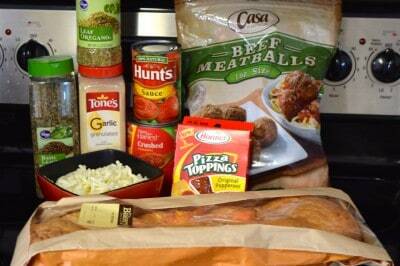 This soup looks delish,have to give it a try real soon…..Thank You Christy! Thank you Annette, I hope you get the chance to try it soon!! I made this. Wow! never expected that flavor!! We love it and I will be making it often! I am so glad to hear that you liked it Barbara!! !